Thanks to Bollywood, item numbers have gained huge popularity in contemporary cinema. Even some Pakistani film-makers have jumped onto the bandwagon because of the cultural similarities between the audiences of the two countries. According to Jami, the main issue is that no one else seems to have a problem with the concept. 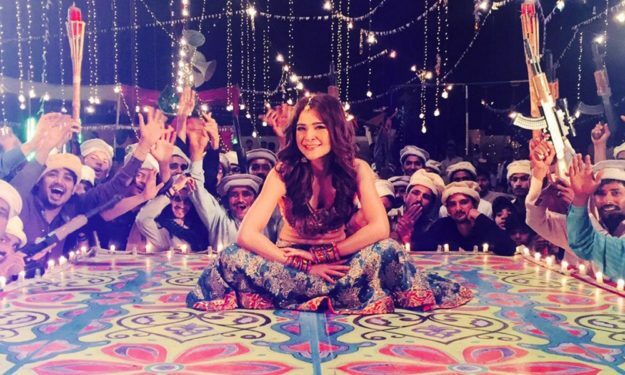 “Item numbers are one of the reasons misogyny has increased in conservative countries like India.” Jami has provoked Pakistan’s film fraternity into re-thinking over item numbers and what they do for cinema as a whole. Nonetheless, Sarmad believes this debate should cover more than just item songs. “It’s not even only about item numbers. I have a problem with everything that’s done in films and TV to merely objectify someone,” he asserted. As far as Jami’s statements go, Beyg said he didn’t have the right to tell anyone what not to do. “Everyone has the right to express themselves the way they want and I can’t tell someone not to put in item numbers, even though I don’t agree with them. Regarding what Jami said, I think he gave a very generic statement because it’s not about item numbers but rather selling vulgarity,” said the Jawaani Phir Nahi Aani helmer. “So a dance number purposefully done is not the issue, but if the film-maker’s sole purpose of it is selling the film, then there is a problem. Jami mustn’t generalise and put all film-makers in one category but highlight other forms of vulgarity as well. Lollywood veteran Syed Noor has a contrasting opinion on the matter. “I am in support of item numbers because when a girl dances in the rain, the audience enjoys it. It increases the recall value of the song and the film itself,” thedirector said at a recently held panel discussion. He was of the opinion that item numbers were an old phenomenon, citing the original Zaalima Coca Cola Pila De song by Noor Jehan as an item number. Previous Deepika Padukone is killing it at the Cannes Film Festival!